In classical thought, the four elements are earth, water, air and fire. For the members of this ensemble, the fifth element, quintessence or spirit, is captured in the music we perform. Fifth Element features vocalist Nina Richmond backed by Dale Scaife on piano, Ron Johnston on bass, John Collin on drums and David Coules on tenor sax. The musicians of Fifth Element bring decades of experience from rich diverse backgrounds to performance within the jazz genre. 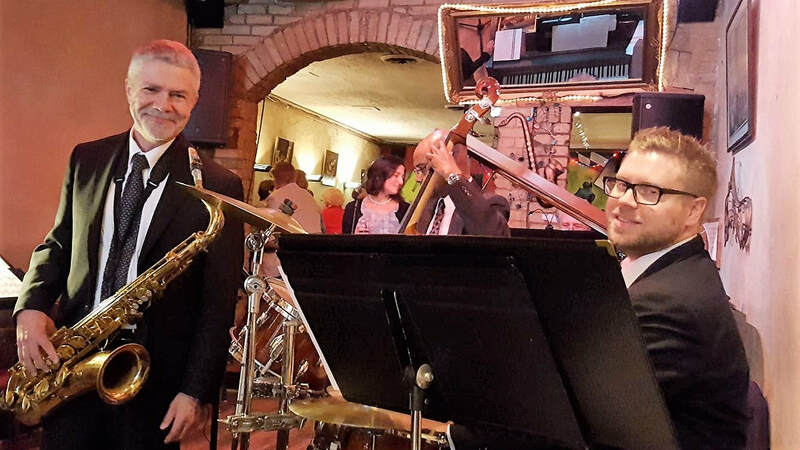 The repertoire of the band draws from the Great American Songbook as well as jazz standards covering the swing, ballads, latin, pop and hard bop genres. Our goal is to draw the audience in with musical treatments of this music that is listenable, accessible and engaging. "Thank you Fifth Element. I have just spent another evening of listening to the great musicians and Nina's beautiful voice. I have attended many of your performances, and will continue to do so as often as I am able."